The NAPABA Law Foundation works to advance access to the legal system for Asian Pacific Americans through fellowships, scholarships, education and community engagement. Advance access to the legal system for Asian Pacific Americans through fellowships, scholarships, education and community engagement. The NAPABA Law Foundation carries out its work primarily by awarding scholarships and fellowships that promote the interests of the Asian Pacific American community. Since its founding, the Foundation has awarded more than $500,000 in scholarships and nearly $1 milion in fellowships and internships. The Foundation awards scholarships on a nationwide basis to law students who demonstrate a commitment to serve or contribute to the Asian Pacific American community as future leaders. These scholarships are made possible by donations from numerous corporations, law firms, bar associations, and individuals. Recognizing that many obstacles prevent committed attorneys from practicing public interest law, including the shortage of entry-level jobs, NLF Community Law Fellowships provides an opportunity for a new attorney to gain substantive experience at a nonprofit national or community-based organization during the two-year Fellowship period. 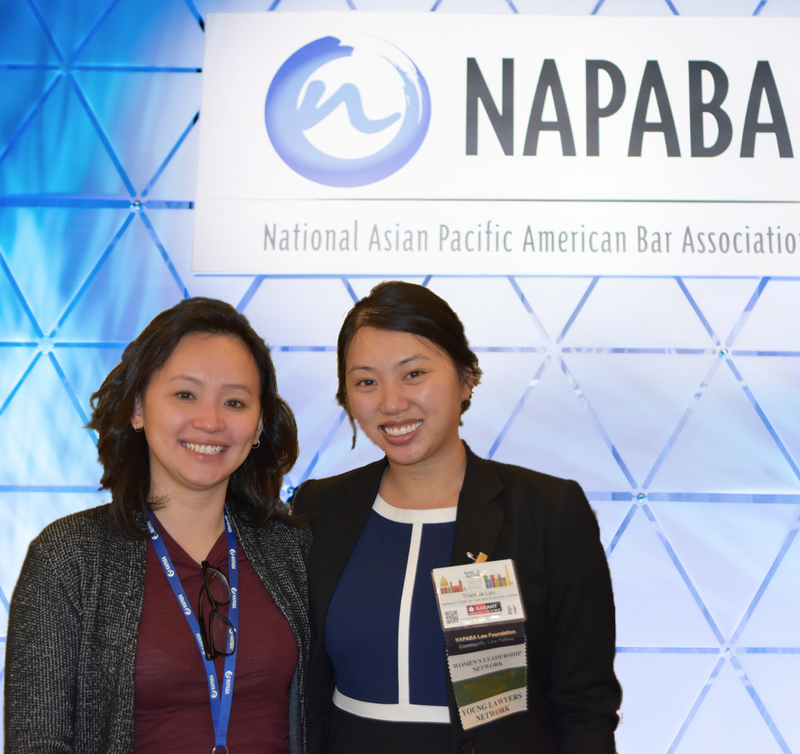 NLF provides year-round internships at the National Asian Pacific American Bar Association (NAPABA) through the McGuireWoods?NLF Intership program. NLF also provides public interest funding for those participating in a summer internship. Providing travel scholarships for judges to attend the National Judicial College training sessions. NLF provides a variety of scholarships for undergraduates, law students, and practicing attorneys. Learn more about our scholarship offerings and apply for one today. Founded in 1993 and named in honor of the late Honorable Thomas Tang, a respected jurist who served on the United States Court of Appeals for the Ninth Circuit from 1977 until his passing in 1995, the Thomas Tang National Moot Court Competition is an appellate advocacy competition sponsored annually by NLF. Supporting NLF's mission of advancing access to the legal system for Asian Pacific Americans through fellowships, scholarships, education and community engagement with your lifetime and legacy gifts. NLF has opportunities for law firms, corporations, and organizations to support the organization. The NLF Vanguards is an honorary group of NAPABA attorneys, judges, law faculty, and legal scholars whose public and private careers have demonstrated outstanding dedication to the APA Community, the welfare of our broader communities, the highest principles of the legal profession, and the encouragement and recognition of commitment to sustaining NLF’s mission and programs. Interested in joining the NLF Board of Directors? Please complete the application below. New board members are elected at our November Annual Meeting based on vacancies. NLF is a 501c3 charitable organization. Consider making a donation to support our fellowships, scholarship, and internships. Feeling Lucky? Bragging rights and prizes – what better way to spend Friday night @ the 2018 NAPABA Convention with your friends and foes to support NLF.